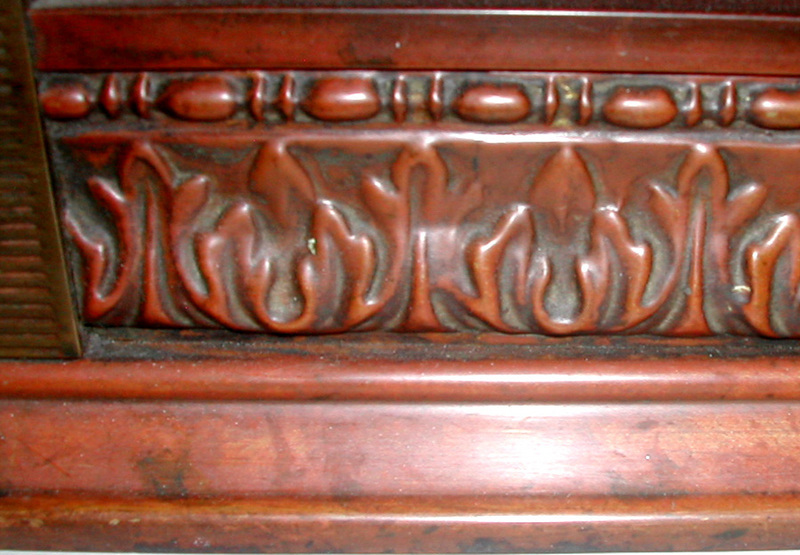 Beautiful design details adorn this antique brass fender with red mahogany colored patina. 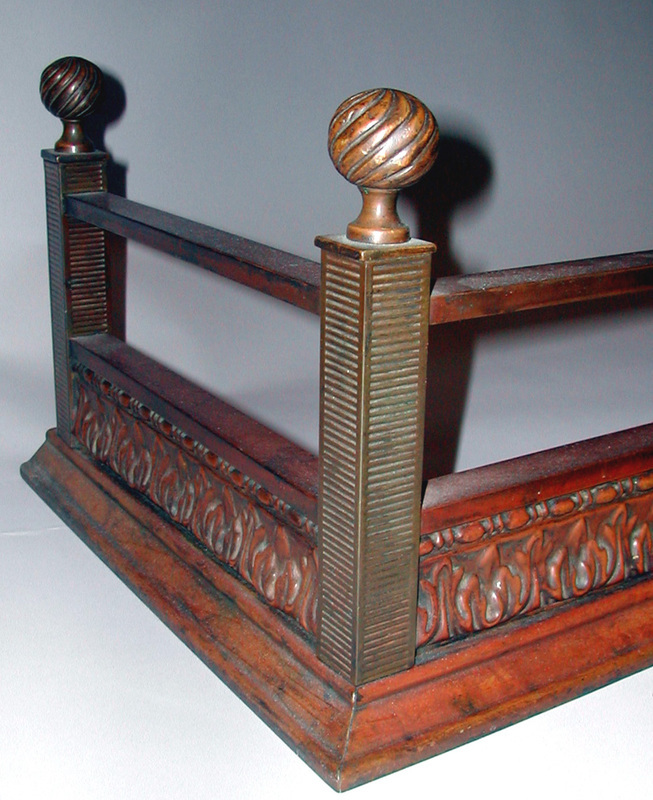 Spiral fluted corner finials rest atop ribbed columns. 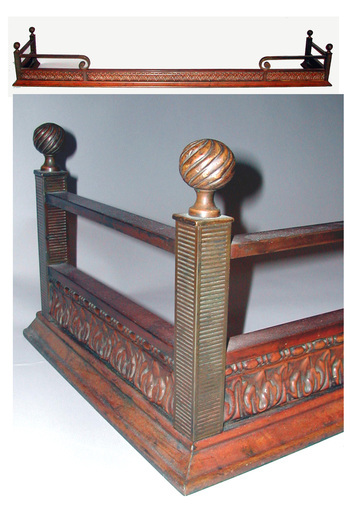 Front and side panels with ample leafy decoration set off squared bar and chamfered base. Dimensions: Width: 65 7/8", Depth: 13", Ht: 9"